Providing healthcare professionals with guidance tools for precise placement of needles, catheters, or instruments with ultrasound/imaging procedures. 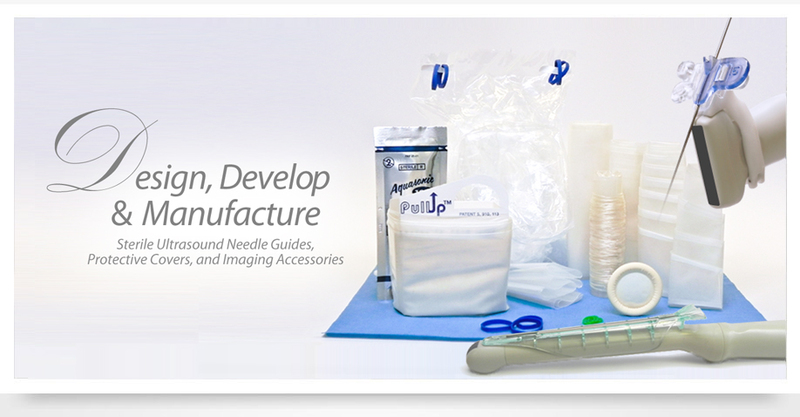 Our complete line of patented Medical Probe Covers and Surgical Drape kits help protect and extend your equipment and instrument life. Design, develop, and manufacture cost effective, quality ultrasound and imaging products. Providing our customers with quality products that protect patients, medical personnel, and prolong equipment life. Protek remains committed to inventing and developing new devices always focusing on patient care and the applications for healthcare professionals. New products are constantly being released and current marketed devices are being expanded for OEM's and professionals. Copyright © 2015 Protek Medical Products Inc.